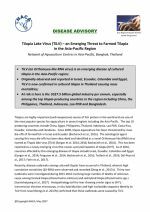 Tilapia lake virus (TiLV) is a relatively recent pathogen causing serious mortalities in farmed tilapia. The virus appears to be spreading via the usual pathway of importation of live fish with inadequate regard for biosecurity protocols. 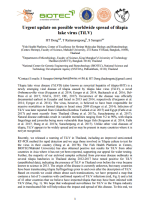 Countries that are at risk should establish surveillance for TiLV. 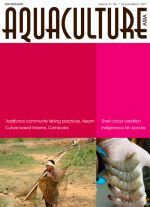 Unusual tilapia mortalities should be investigated. 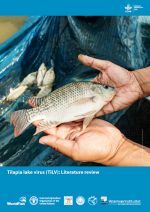 Importation of live tilapia should probably be reconsidered until adequate biosecurity arrangements are in place. 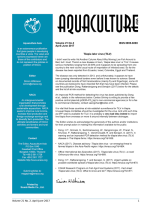 Links to some recent advisories and publications are provided. 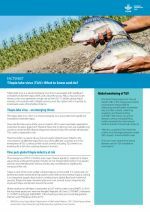 WorldFish is seeking a Post Doctoral Fellow to coordinate and conduct research on emerging aquatic animal health challenges as a component of the Fish Health and Nutrition Research Cluster of the CGIAR Research Program on FISH. 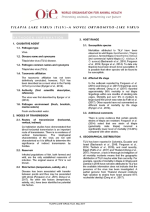 S/he will involve in epidemiological research on emerging fish diseases and engaging international and national research teams in Bangladesh, Egypt, Malaysia and other WorldFish focal and scaling countries and partners to deliver high quality research on aquatic animal health. 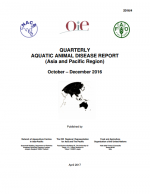 The 73rd edition of the Quarterly Aquatic Animal Disease Report contains information from 14 governments. 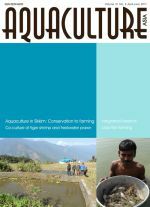 The foreword provides information about the implementation of a National Surveillance Programme for Aquatic Animal Diseases (NSPAAD) in India.